Everything Changes – The Guide to Young Adult Cancer » Does Cancer Impact Your Intellectual Self-Esteem? Does Cancer Impact Your Intellectual Self-Esteem? I know I’m smart. And, that I.Q. tests don’t prove a damn thing. Still I took a cheesy online I.Q. test three years ago just to prove to myself that I’ve got brains. There’s lots of talk about how cancer affects our body image, but what about how it impacts our mental and intellectual self-esteem? Since cancer, my brain has become a sieve. I feel inadequate at dinner parties when I can’t spit out cool facts from NPR. I feel silly defending my positions in conversational arguments; I get one point out and the rest disappear. Forget about retaining facts I read in the newspaper, recalling plot lines of books, or being able to follow driving directions or recipes without rereading them 100 times. What’s harder are the limitations and frustrations my memory presents to me personally. I’ve thought about going to grad school or working on a PhD but my current brain function truly isn’t capable of the work. Instead, I’ve satiated my intellectual curiosities in more manageable ways, like writing my book Everything Changes. Organizing and retaining research information for my book was challenging, but it was an independent project that I navigated on my own terms. I don’t put much stock in beauty, charm, or humor. Compassion and intelligence have always been what I prize. So it’s been a struggle making peace with my scattered cancer brain. There’s some real sadness there for me. But while my mind feels deficient, I’ve learned how to move beyond feeling like crap about it and started making the most of what I’ve got. I’m still a stellar creative thinker and believe I’ve still got it going on in the critical thought department. Next week I’ll write more about my tricks and tips for dealing with brain fog and forgetfulness. But for now, I’d like to know your experiences. Have you faced intellectual self-esteem issues as a result of illness? How do you handle the emotions that go along with it? We joke a lot about chemo brain in the young adult cancer community, but have you found a place to talk about how challenging cognitive deficits really are? Enjoy the fruits of my mental labor! 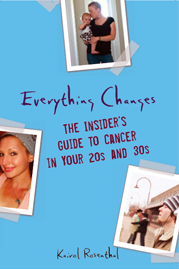 Read Everything Changes: The Insider’s Guide to Cancer in Your 20s and 30s. As someone who has a brain tumor and has had two craniotomies I cannot begin to explain my cognitive issues. It is frustrating and depressing to see your cognitive abilities decline. Since I “bounced back” from my surgeries quickly people do not understand why I forget things or cannot multi-task. Everyone assumes I am “back to normal” because I look normal. It is difficult to try to hide cognitive issues, but even more difficult to try to explain them to people. Multi-tasking is a nightmare. My biggest issue now is word recall, especially when speaking. I think that’s why I’ve found that I like blogging so much, if I get stuck for a word I can just stop and come up with something else, can’t really do that in conversation. I don’t seem to be able to make my husband understand how embarrassing and humiliating it is to not be able to come up with the right words. He says he doesn’t really notice it or that it’s no big deal but it is really difficult. I wonder if within the next few years we’ll find that personality changes are also indicated in some patients. I used to be a little bit of a worry wart and now I have clinical anxiety. Who knows. Cognitive dysfunction is a big part of my illness – direct effect of illness or indirect effect from physical fatigue caused by anemia, etc., Or, simply that our brains are so taken up with coping that it just can’t handle more info. I forget everything now and I am now obsessed with writing everything down. . . I have made the kind of boo-boos at work and in personal lives that I would have never made before I became ill. So I’ve felt not only dumb but also insecure about my job performance – because I’d been known to be a good/efficient worker. I worried that they would think I’ve become lazy and stupid. But when I did apologize to my co-workers about my mistakes/delay, their response has been “oh, we didn’t even notice”. (or could it be that they always secretly thought I was dumb and inefficient???). I’ve also realized that I overreacted in some personal situations because my self-esteem was so low and I blew people’s actions/ comments out of proportion. I even broke up with my boyfriend because I just couldn’t forgive him for something he said casually (it was a bit of an arrogant comment but if my self-esteem hadn’t been so low, I might have handled it differently). I think we need to be kinder and more forigivng to ourselves. Dealing with grief over the loss of our intellectual capacity is part of the grieving over loss of our health and our identify, and we know it’s not something we can resolve overnight. I think your brain works just fine, not having read your book yet, plan to read it some day. Your blog posts are very intelligent, witty and smart. Even sarcasm gets in there every so often too. I know that chemo affected my mom’s brain and took her IQ points with it and it was hard to watch but in perspective she had brain mets at the end and spinal cord mets in the end too. Cancer can ravage many parts of a person’s body, mind and spirit, yet Kairol, yours are all still very much intact. I cop to the fact that I am pms-ing, but still ladies, your four comments above have gotten me choked up. This stuff is embarrassing and challenging. Nobody else can get inside our heads to see or hear the continual editor that is trying to translate non-sense into logic or turn blank air space into appropriate word retrieval. And none of you know how many time I just typed the word “retrieval” until I finally got it right. I have been a crappy speller since birth, but it has gotten so pathetic in the last few years – I’m sure I couldn’t pass a 5th grade spelling bee. Anita, thanks for your kind words. Anon Me Again, I laughed out loud at you wondering what your co-workers have thought of you all along! I’m not being kind, I’m speaking from my heart and I mean what I say. If I have nothing to say I won’t say it and you may not see my comments if I have nothing to say. I also speak in empathy for all patients going through and surviving horrible diseases that rob people of all ages so many things, some that they can never get back, and somethings that they do get back. Eventhough I have been a caregiver for a person with cancer and friends with people with cancer, I myself hope that I am spared the “c” word myself, but if I do get cancer I know there is a virtual world and a real world where I can turn to for support, kindness, friendship, and kindred spirits, though, I have felt very lucky to be included in the community while being an outsider of sorts. 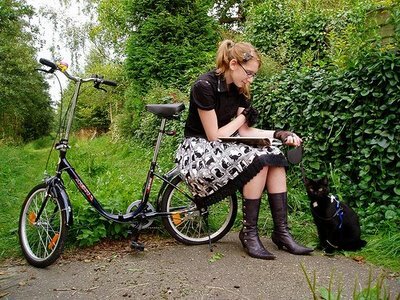 I had almost completed one year of my Ph.D when I was diagnosed, and then spent the next ten months at home being treated. Trying to get back into research has been incredibly difficult and I am now not sure if I want to do this anymore. The one thing I was quite proud of before everything was my memory. I remembered everything, right down to the smallest detail. Now my brain does not retain anything for even one day. Any password I reset during this time, or after, I cannot remember. I have been locked out of many accounts online because I forgot passwords and then the answers to the security questions. I read and re-read papers all day for my work, but nothing gets in. What is even more frustrating is how people react when I try to bring up this problem. Everyone says they don´t notice, or that it´s okay. It is not okay and I am not okay. I am so glad you brought this up, and it relieves me no end to see I´m not the only person dealing with this. Thank you! you know, I read alot about how the thyroid contributes to brain function…I honestly never thought it would be a major factor until I was relying on something synthetic to provide the same boost. I love to talk, I spend most of my time at work couseling, mentoring and guiding folks. Over the last few months I have constantly found myself at a loss for words. It is embarassing to be in the middle of a conversation and not be able to remember stuff that used to come so eaily. It also used to be a cute little story when I would call my kids by the wrong name when I was angry…ending with a “you!! come here!” now at any given time, I just stand there, take a deep breath, and search my mind over and over again for what I need to say. That is the worst because they look sad while they are waiting for me to figure out what to say. Shannon, as a thyroid cancer patient myself, I have never received traditional chemo – only radioactive iodine treatment. So I have always wondered if my brain fog is just some psychosomatic thang. Last week I read an article called Thyroid Cancer in Young Adults, from “Seminars in Oncology” 6/09 issues. It said “When compared to survivors of other cancers, thyroid cancer survivors were more likely to report memory problems, psychological issues, and migraine headaches.” Talk about a nugget of validation! I’d love it if we could get some foundation money to do more research into this, and perhaps train endocrinologists on how to help thyroid cancer patients handle memory problems. Until then… I hope you and your kids hang in there! Obviously your post has struck a chord with many of your readers. Fortunately healthcare professionals in oncology now recognize cancer-related cognitive deficits as a common – and real – problem. And researchers are exploring why it happens and what to do to prevent and treat it. I remember reading an article about a young lady going to get her M.D. after cancer treatment … chemo and all. She inspired me to go back to school and get some education … granted I won’t be a doctor. Kairol, nine years ago today, I was in my sister’s living room, trying to make sense of the handwriting on three cards filled with well-wishes from my co-workers. I knew they were words, could even recognize the names and initials, but I couldn’t make sense of the messages–my 14y.o. nephew had to read them to me. I was 44 years old, and I was about three weeks out from an intracerebral hemorrhage that didn’t quite kill me. But it took a long time to make me stronger. Afer four months of recovery and rehab, I was able to go back to my job supervising pre-clinical pharmaceutical safety studies. I felt like my brain was a shaken snow-globe–the little snowflakes were my knowledge and experiences and thoughts and suddenly, none of the snowflakes were where they were supposed to be. I couldn’t find words, couldn’t remember anything I didn’t write down, couldn’t read what I *did* write down, couldn’t stay on any kind of schedule, couldn’t read for more than a couple of minutes and didn’t retain what I’d just read. What I could do was (apparently) convince everyone around me that I was fine, and nothing had changed. But, as you know, everything changes–whether people can see the changes or are afraid to admit you’ve changed or not. The stroke was four years before cancer…and in those four years, I worked really hard at getting better. I saw (and still see) the deficits, even if my co-workers and friends wouldn’t say they did. I worked with a great counselor, and made peace with who I am now. I read a few great books–one, “Over My Head” by Claudia Osborn, is a doctor’s stroke survival and recovery story that I re-read at least once a year. I really felt like I was better. Not the same–I couldn’t manage long days, or teach dog training classes. I wasn’t as (mentally) fast on my feet as I had been. I used to joke that I must have blown up a different part of my brain than the 10% of brain cells people use most often–and weren’t we all lucky we had brain cells to burn? Then came cancer–chemos, surgeries, treatments that sometimes seemed like they’d never end. Suddenly, all of my progress in stroke recovery was down the drain. Then during my first regimen (Folfox + Avastin) I woke up one morning unable to put weight on my left leg. Another pair of small bleeds, this time in my frontal lobes. Small damages, small deficits…and right back to the word salad days. He understood how scared I was by the strokes during treatment, and has throughout the last five years been very empathetic and cautious about how my treatments affect my brain. My neurologist is involved in the team. I had the brain issues before cancer, but cancer made them far worse. I still have all of the brain issues (to varying degrees) although I’m 8 months out from my latest chemo regimen. But during that regimen (my 5th), the chemo brain was the worst it’s ever been. I couldn’t follow a sit-com for a half-hour…in fact, a one-minute commercial was sometimes too long for me to get the message. I will probably find that lost paperwork when I’m looking for something else. But that car file haunts me–every other piece of paper on every vehicle is in there because it was before I had cancer. I even managed to hold important things together during a stroke. But after cancer, no more files. No more order. No more things where I want them or expect them to be. Finding the pieces of my life is too often a crap shoot. I’ve got stroke-sized coping skills…but none of them can go head-to-head with cancer brain. I still work, and have a seriously demanding job (same company, different responsibilities.) I get up and go to work every day and my co-workers still think I’m sharper on a bad day than they are at the top of their games. But I also wonder, every day, if they’re just saying that…because I know that without my cell phone, PDA, online calendar(s), routines and pads full of post-it notes, my illusion of coping would be revealed in five minutes. On the bright side, last night I substituted as the instructor in my first dog agility class since I was hospitalized in the middle of a training session nine years ago. It was week four, advanced beginner agility–the same exact week of my club’s class semesters where I’d had to call my students nine years ago to cancel with the worst headache of my life. I had to teach from notes, and keep referring to them–and my class ran over 10 minutes. But I got great feedback from those students last night. It was a good class for all of us…even if this morning I am exhausted. And teaching that dog training class felt like picking my life back up again, even if only for 90 minutes. Kairol, like others have said, I’m always impressed with how intelligent you sound, so I think your post cancer brain is still light years ahead of most people who are not affected by cancer. With that being said, I get how unsettling it is to not be at your previous level, to notice you’ve lost some things. As I was getting sicker, right before my diagnosis, my mind was of course not as sharp, and my coworkers would say things similar to what was said in the above post, like, “Wow, you’re becoming like a normal person now”, cause I was making silly mistakes when I typically wouldn’t that much. And I laughed, but it unsettled me. Post chemo, and I dont know if it’s related or not, but hearing about the chemo brain thing, I’m going to blame it on that:-) I tend to blank on the little, simple things. Like I couldnt remember my friend’s last name, which freaked me out. Or like my doctor asked, where the lump i felt in my breast was, like in terms of a clock, 9:00, 3:00 etc and like I couldn’t process it for the life of me! I’m not working now or out in the real world yet, (and i am afraid of how it’ll affect my work) but w/doctors, staff, or friends I’ve taken to just outright saying, “i think it’s the chemo, sorry, I’ve been having trouble processing random little things”. Ha, then usually they dont look at me as strange. I hate using the “chemo card”. But I do get so embarrassed and like scared sometimes, cause my mind is just empty. With other random people, I might not say chemo, I’ll just say, “sorry i’m blanking, I’ve had such a rough day” or some bogus thing, but just to fill the void of the blank and them starin at you. Like, when I’m using all my brain power to talk to the doctor, get my points across etc… but then fail to process something little he says.. or blank and say/do something stupid, I get frustrated and feel stupid, and i feel like they’re looking at me like, what the hell? But overall, I think it’s the big things that matter. So although here and there, my esteem will dip due to the little things. I usually, say, Hey, I’m allowed to be a little dumb now:-) I do try and give myself credit, like it could be alot worse, adn look at all you were able to do feeling like crap,etc. The fact I can still pass as “sounding good”, is a good thing, one day I might not have that, so I take what I can get, and like you said, work with what you got. And Kairol, you got the critical/creative thinking skills and that’s what really counts as intelligent in my opinion, not just simple memory things. There are strategies and ways to try and cope w/the memory stuff, but not as much you can do to make up for a lack of creativity/critical thinking. Intelsexual self-stream tissues … ummmmm … huh … ummmm … no … I got an ointment for that … I think … I forget … what was the question again?????? ABSOLUTELY! I, too, have always known and been recognized as a highly intelligent person. My dad used to say, “she’s exceptionally advanced” about me. But yes, since treatments started a year and a half ago, my cognitive function has rapidly slid downhill. My head will be full of thoughts to share with people but once I open my mouth, I lose most of the descriptive words I intended to use. I am constantly asking my friends to tell me again what time the party is, what I’m supposed to bring, things like that, even though they just finished telling me those answers. Last week I even replied to an email that told me what time a memorial party for a mutual friend was to begin this weekend asking the sender, “What time does the party begin?” It was in the damn message she had just sent me! The one I was replying to! I swear these people must think I don’t even read their emails or something! It’s not like I’m saying, “I’m sorry. I have cancer and am on eternal chemotherapy so I don’t have time or space in my life to remember the trivial things you tell me.” Seriously. It does impact my self-esteem. I know that it’s just not me! It’s a shell of someone who looks like me with less hair and sounds like me but with a scratchy throat (from the drugs, too) but it’s not how I was before! A few months ago, I bought a couple of very helpful games for my Nintendo DS that helped revamp my brain and exercise it back to better thinking. One is a game full of riddles (which I’ve always been horrible at but since I got it and I have to work my brain ultra hard to solve them, the results stick with me for a long time after I play!) and the other is the popular Brain Age games (patterns, numbers, Sudoku, lots of brain exercises that don’t take much time at all to whip through). Another thing that helps me out is writing. Sure, some of my rockin’ writing skills have taken a sabatical, the more I write, the better able I am to bring them out of hibernation! Sometimes it works! Like right now! I’ll start an email or something and it sounds basic, dry, empty near the begining but by the time I’ve reached the end, I can overload with metaphors, run-on sentences necessary to get my witty points across, and way more references than I could’ve thought of closer to the begining of the email! Those two DS games as well as reading stimulating novels by some fave authors help pick my thought processes up, dust them off and put them back to good use. Our doctors can prescribe us medications and creams for pain, nausea, low libido, sleeping problems, and dozens of other symptoms and side effects related to cancer and its therapies but, as of yet, I don’t think there’s a pill out there that will help us put our brains back together! Thanks for putting this topic out there. As the wife of a cancer survivor, I can attest to his “chemo brain” experience. At the time, I hoped it was a side effect that would go away for him when the poisonous infusions stopped. I hate to admit it but I began to think it was contagious. It would be nice to see research work towards understanding these effects better and finding a way to repair the damage or avoid it all together. I also just saw an interesting article that you might want to check out at http://www.sciencedaily.com/releases/2009/07/090722142900.htm : Life After Chemotherapy: Daily Tasks, Quality Of Life May Be Affected, Researcher Finds.